More than 1,000 people came out to get their first peek at San Luis Obispo’s (SLO) most exciting new home community as Righetti, from acclaimed California builder Williams Homes, celebrated its Grand Opening. 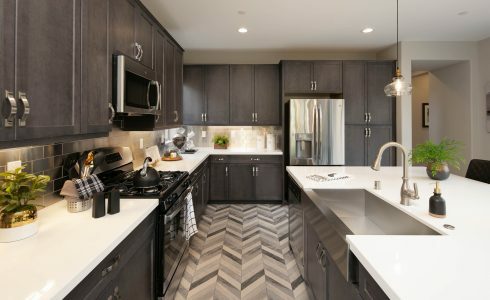 Several sales were made during the community’s debut, with many more expected in the coming weeks as San Luis Obispo home buyers choose from between Righetti’s eight fantastic floorplans spread among two wonderful new-home offerings, The Arroyos and The Paseos. The San Luis Obispo homes of Righetti are a hit with homebuyers. This new master planned community features two stunning collections of detached single-family San Luis Obispo homes boasting classic California architecture and airy floorplans in a coveted coastal locale. The custom-quality residences of The Arroyos present single-level and two-story floorplans with three to four bedrooms and two and one-half to three baths in 1,684 to 2,534 square feet of beautifully designed living space, with prices from $771,895. Revel in the front-porch friendliness, not to mention the gorgeous vistas of San Luis Obispo. Head inside, and the open floorplans enchants you with their masterful use of space and high-end finishes. The gourmet kitchen is a chef’s dream with its huge island, LG stainless steel appliances, Quartz countertops, and tons of cabinet space. Buyers love how this space opens right into the gorgeous living areas, creating the ideal flow for daily living and entertaining. Thoughtful features such as tankless water heaters and Tesla Solar Systems (structured as a lease with purchase option) that provide energy-efficiency in the homes are desirable additions. The stylish new single-story and two-story San Luis Obispo homes of The Paseos reveal three to four generously sized bedrooms and two and one-half to three-baths in 1,624 to 2,125 square feet, with pricing from $771,965. Open the door to a new future with these airy designs boasting gracious living area, high-end features and finishes, and a focus on indoor-outdoor living. Behold the island kitchens, with their chef-ready features including GE stainless steel appliance packages, white thermofoil cabinets with designer hardware, and Quartz countertops. These glorious spaces lead directly into the homes’ great rooms and dining areas, with open sightlines that allow you to take it all in. 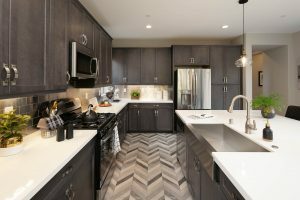 Large lofts and convenient downstairs bedrooms, per plan, are just a few more features buyers are falling in love with at The Paseos. Owners here at Righetti have the unique opportunity to own a new San Luis Obispo home just minutes from favorite beaches, acclaimed wineries, a full array of cultural options, and the vibrant shops, eateries, events, and activities of downtown—all reasons San Luis Obispo was voted one of Livability’s Top 100 Best Places to Live. The great accessibility to all of these nearby amenities makes the community even more ideal. Yet, don’t be surprised that, with so much natural beauty and exceptional hiking trails and parks right within the community, you may never want to leave. For more information about buying a San Luis Obispo home, visit Williams Homes. This renowned California builder was founded in 1997 on the principles of integrity, trust, and partnership and has continued to thrive as one of the state’s fastest-growing homebuilders. Williams Homes was the proud recipient of the 2013 Builder of the Year Award by the Building Industry Association.